The rules for what you must show on food labels will change for some food and drink products if the UK leaves the EU without a deal. Some of the new rules will come into effect from exit day. For others, you’ll have longer to update your food labels. These proposals are subject to agreement with devolved administrations and Parliamentary process. The UK has no control over how food labelling changes will be enforced outside the UK. EU and other non-EU countries may require the food labelling changes are made sooner, than the UK exit date, to export to their markets. You should get advice from your EU importing contact on the EU’s labelling requirements. Read EU guidance for goods on the EU market (PDF, 338K). You must make certain changes by the date of exit if your UK food product is placed on the UK or EU market. EU and other non-EU countries may require wholly accurate labelling for access to their markets. You should get advice from your EU importing contact on the EU’s labelling requirements. Country of origin labels - It will be inaccurate to label UK food as origin ‘EU’. For the UK market, you should display additional information online and on signage in shops to help clarify the origin of the food. For the EU market UK food should not be labelled as origin ‘EU’. EU organic logo - You must not use the EU organic logo on any UK organic products, unless the UK and EU reach an equivalency arrangement – where both still recognise each other’s standards – before exit day. You can continue to use your approved UK organic control body logo if you qualified to use it before Brexit. The EU organic logo must not appear on UK organic goods. If the UK is able to achieve equivalence with the EU before the UK leaves on the EU, then UK organic goods can enter the EU and can continue to use the logo. If the UK does not achieve recognition from the EU, the EU market will be closed to UK organic certified produce from the day the UK leaves the EU. EU emblem - You must not use the EU emblem on goods produced in the UK unless you have been authorised by the EU to do so. 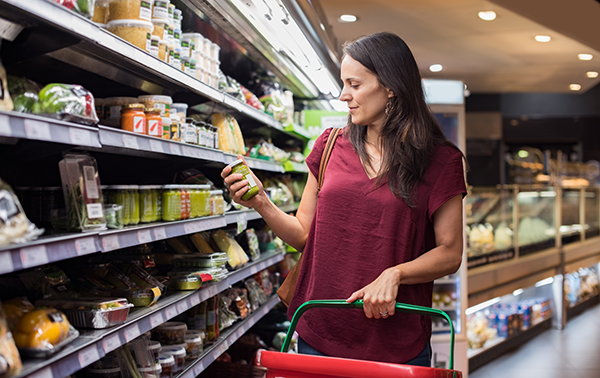 Pre-packaged food and caseins sold in the EU - If you’re exporting food to the EU, you must include an EU address for the food business operator (FBO) or EU importer on your packaging or food label. You must make certain changes by this date if your UK food product is placed on the UK or EU market after the date the UK leaves the EU. There will be a transition period to December 2020 for labelling changes in relation to goods produced or imported and placed on the UK market after exit day. EU and non-EU countries may require wholly accurate labelling for access to their markets. You should get advice from your EU importing contact on the EU’s labelling requirements. If you export UK products of animal origin (POAO) to the EU, you must replace the EU oval health and identification marks with new UK health and identification marks (to be released). You can continue to use the EU oval health and identification mark on POAO from and sold in the UK until 31 December 2020. The new UK health and identification marks for POAO will ensure that UK products continue to display an appropriate label that clearly shows the product has been subject to the strict health and welfare checks that will continue after the UK leaves the EU. The UK government is talking to countries about new marks and will update this guidance if there is a change you need to make. Read the Food Standards Agency’s guidance on the new health and identification marks. You must include a UK address for the food business operator (FBO) on pre-packaged food sold in the UK. If the FBO is not in the UK, include the address of your importer bringing the food into the UK. Minced meat - For minced meat (excluding beef and veal) made, for example, with meat from the UK and EU the origin would be labelled ‘UK and non-UK’. Fruit and vegetables - For mixes of UK fruit and vegetables, you must replace any references to the EU with UK on the label. For example, ‘a mix of EU and non-EU origin’ changes to ‘a mix of UK and non-UK origin’. If you’re part of the Approved Trader Scheme, you must remove the EU flag from your UK food labels. You can use the replacement UK label instead. Blended honeys and olive oil - If your honey or olive oil is a blend from different countries, you must list each country of origin on the label, or state “blend of [honeys/olive oils] from more than one country” (or similar wording) on the label. Beef and veal - If the animal your beef or veal came from was born, reared or slaughtered outside of the UK and EU, your label must state ‘Origin: non-UK’. For beef from live animals imported to the UK where you do not know the origin country of the animal, you should replace ‘live import into the EC’ with ‘beef from a live import into the UK’ on the label. Eggs - If you import eggs that are not produced under farming methods that meet UK standards from non-EU countries, you should mark them as ‘Non-UK standard’ rather than ‘Non-EC standard’. If you produce a GI-protected food or drink product (except wine or spirits), you must use the relevant UK logo (to be released) on any products for sale in the UK. If you produce GI-protected wine or spirits, the logo use is optional.